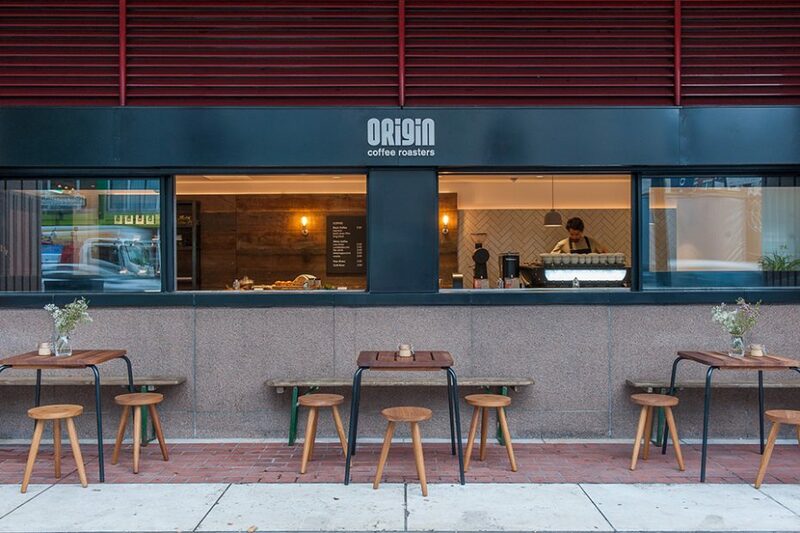 Origin Coffee Roasters have collaborated with the British Library to occupy a prime location on the Euston Road, London. 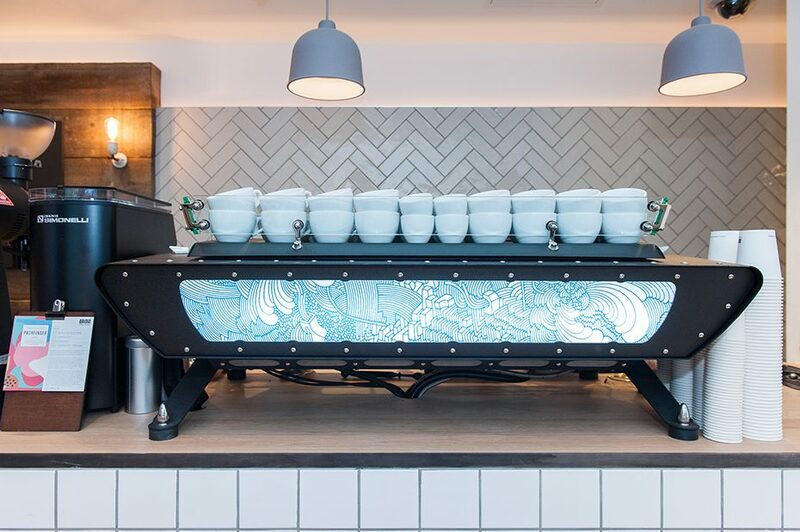 We were delighted to continue working with them to produce their 4th coffee shop. A fast paced and increasingly competitive landscape surrounds the British Library and the design scheme needed to clearly communicate the offer of a specialty coffee house whilst ensuring that the environment was fitting and unique to the location; in tandem appealing to passing trade to draw in a new customer base. 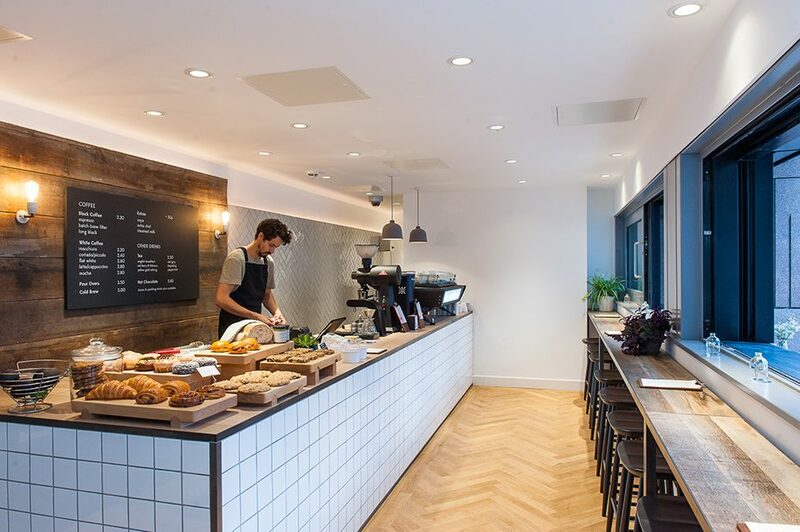 Predominantly a take-away offer the use of space focused on presenting the food offer as a priority alongside the coffee, facilitating a fast turn around for customers and the most efficient use of space for service. 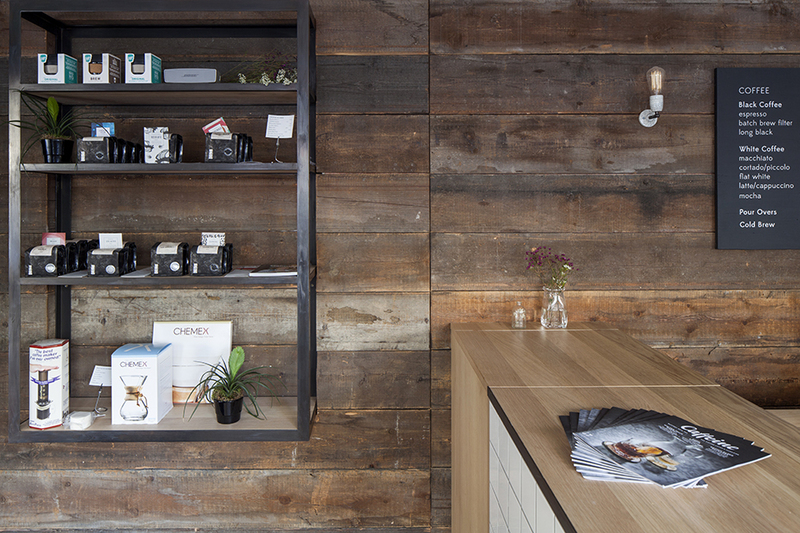 A crisp selection of materials reflect the precision of Origins coffee coupled with a rich textured backdrop of structural pine timber cladding.